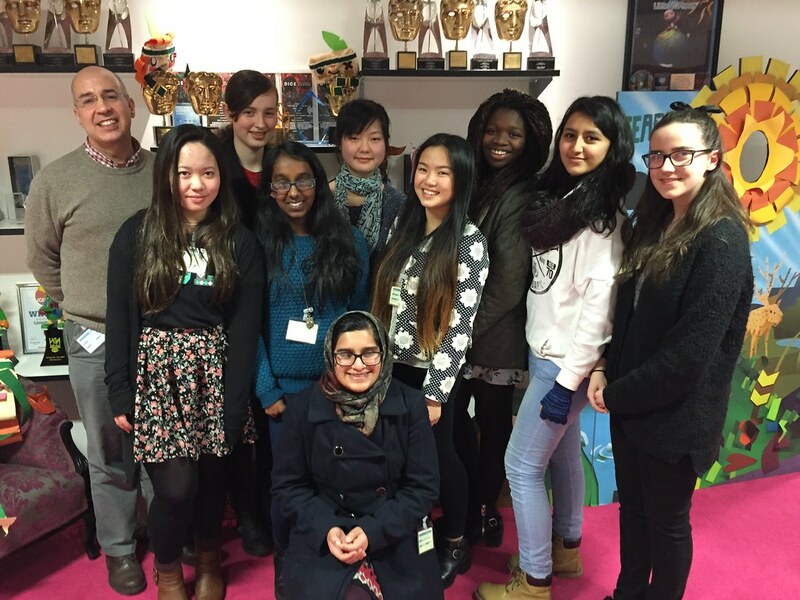 Last week, we opened our doors to a wonderful group of girls from the Year 12 Computer Science class at Nonsuch High School! 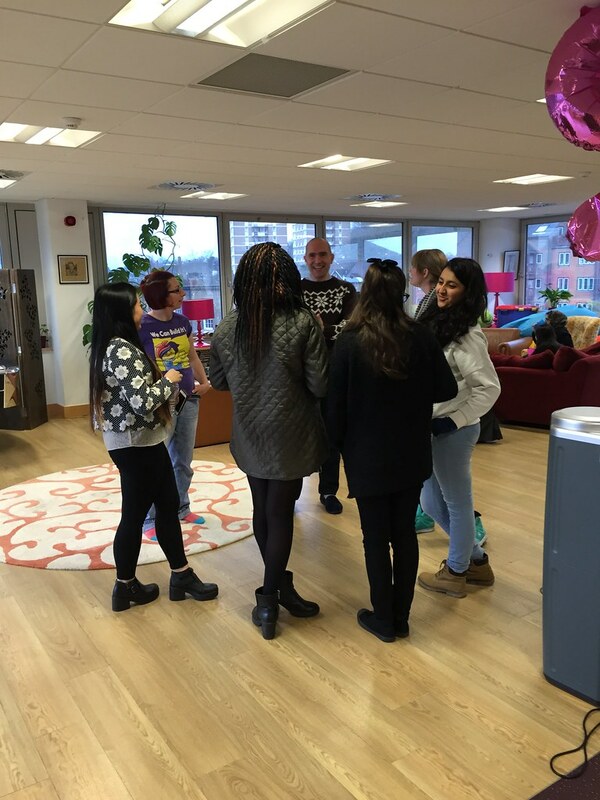 Along with their teacher Mark Ley, the girls got to see around the studio, eat pizza with the Molecules (yum!) and spend some time learning about programming, design and production (among other things) in a bit more detail. It was an inspiring day for all and it was so great to see their enthusiasm and passion for games making; the future is definitely bright! As we have done before, we asked the girls if they wouldn't mind writing a short piece about their time with us here and what they got from the experience. 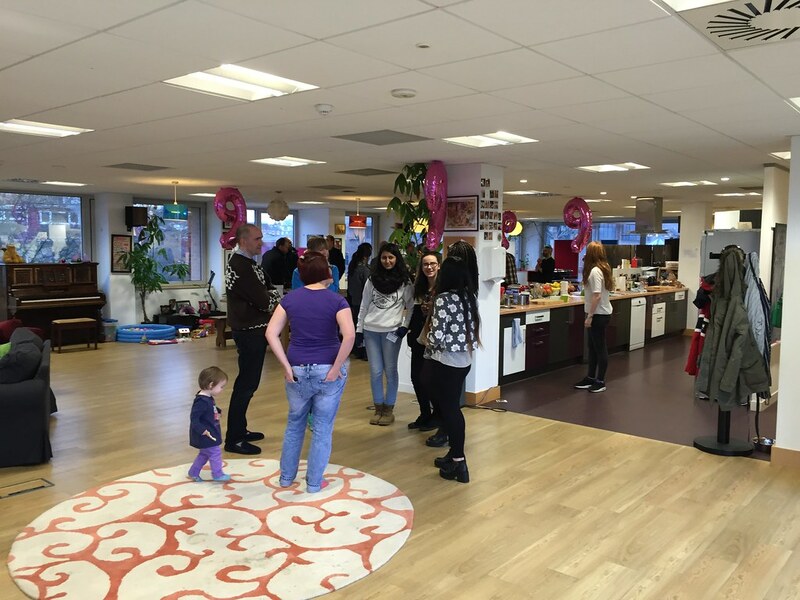 Here's what student Rosabelle Armstead has kindly written for us, have a read! 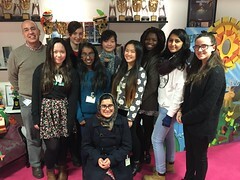 On 21 st January 2015, the year 12 computer science crew embarked on a quest to visit the mythical land of Media Molecule. Filled with great enthusiasm and excitement, we entered the building and traversed our way to the 3rd floor (taking a selfie in the lift to preserve the moment in a photograph forever). We were already in awe as we walked into the studio, catching sight of the pink carpet, Atoi sitting on the sofa and Sackboy sitting on one of the cupboards, and we were overwhelmed when warmly welcomed by Gem into the studio's meeting room called the "play room" (especially as we had to sign an agreement to not tell anyone about any new stuff we saw). All of those PlayStations and TVs – what a surprise! 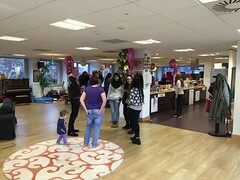 As we had some snacks and chatted, we listened to Siobhan and Michelle tell the tales of their experiences of their journey to getting to work in such a beautiful place and how they hoped more women would get into the gaming industry. We were also able to discuss in more detail how they developed video games and how to get into the coding mind set with one of the company's programmers, Amy. At 12:30 we went upstairs to the have lunch together with the rest of the Mm crew. We ate so much pizza in between enjoyable discussions with the employees as we found out how they got into the video game industry and how much they enjoyed working with Mm. 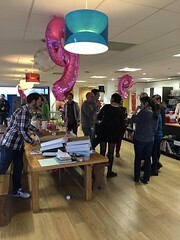 It was a very relaxing time, with the room decorated with huge pink number 9 balloons to celebrate the company's recent 9 th birthday. The view from that floor was fantastic too. After lunch we had a short studio tour with Simon, Peter and Nathan. We were able to see closely the level of detail and code that goes into creating games, which was by far the best part – so much so that we lost track of time and left a little later than we had expected. Of course we didn't miss the chance to take a group photo with the huge collection of shiny awards that Media Molecule has won over the years. 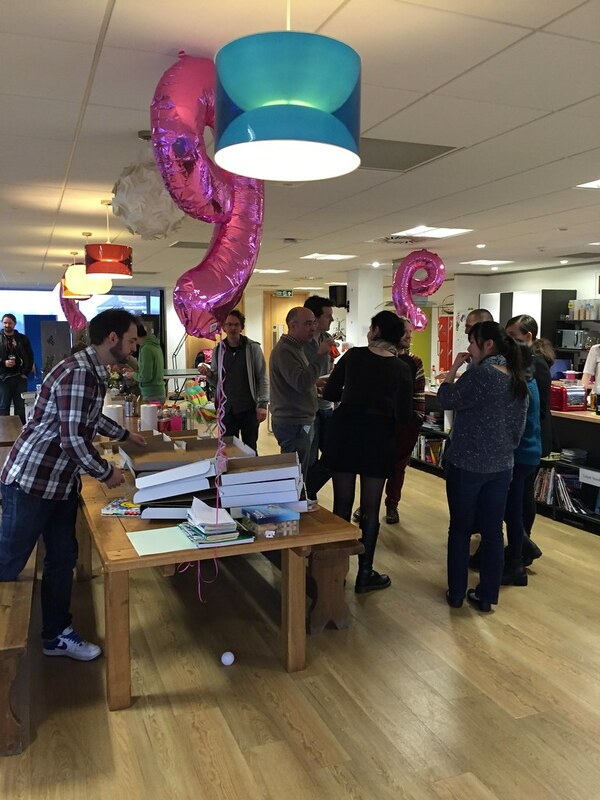 Thank you Mm – we had a fantastic day! A group shot of the girls with their teacher Mark Ley! View on Flickr: See more photos from their visit on our Flickr page!